Committed to providing excellent dentistry, Dr. Robert A. Bond and his team have built a practice on a reputation of personal attention with traditional values. Making decisions based on the information provided, Dr. Bond’s patients can enjoy all the benefits of beautiful, healthy smiles. Dr. Bond has been a client of ours for years. They came to us interested in a site design update that would offer their clients more information about their dental services and function better across all devices. 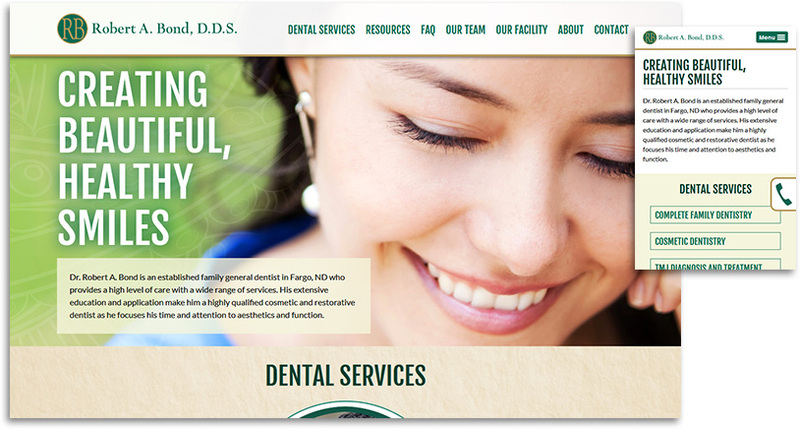 We worked with them to craft SEO-friendly, engaging content for their website, and we focused on a more ideal user experience to make it easy for clients to find the dental services they required and easily contact their office for an appointment.